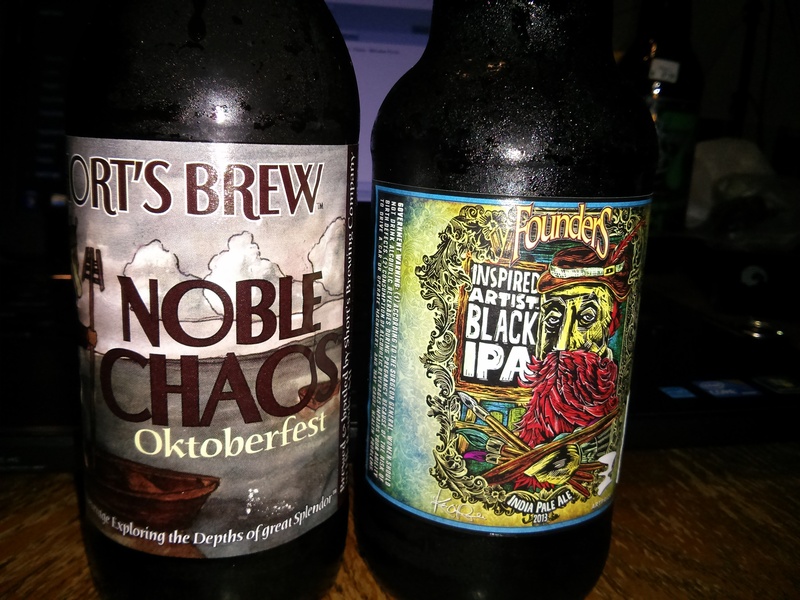 I’ve got two for you tonight: Founders Inspired Artist Black IPA and Short’s Noble Chaos Oktoberfest. 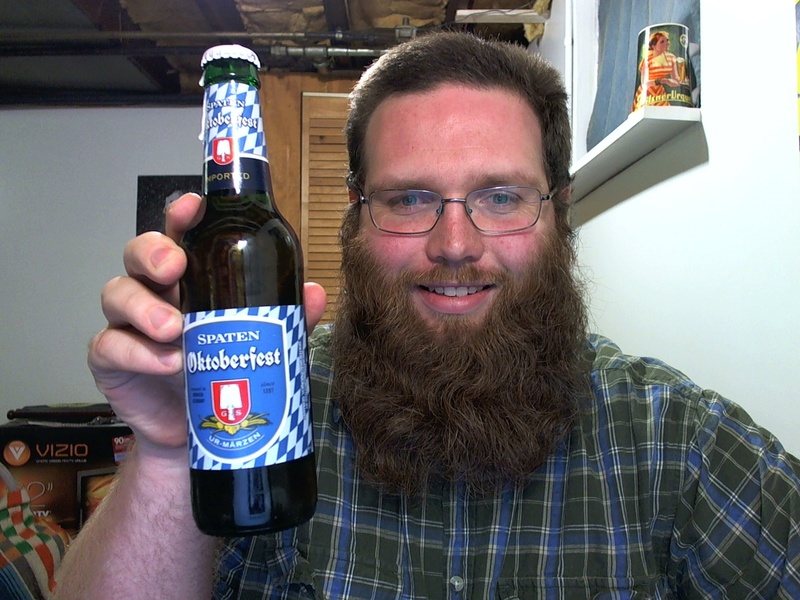 As usual, we’ll go from least to most hoppy and start with the one I’ve had before, the Oktoberfest. Pours a little light for an Okoberfest, a kind of ruddy amber, with a two-finger white head. Taste is very dry, almost roasted chocolate and coffee beans, with a crisp, clean finish and a crackery aftertaste. 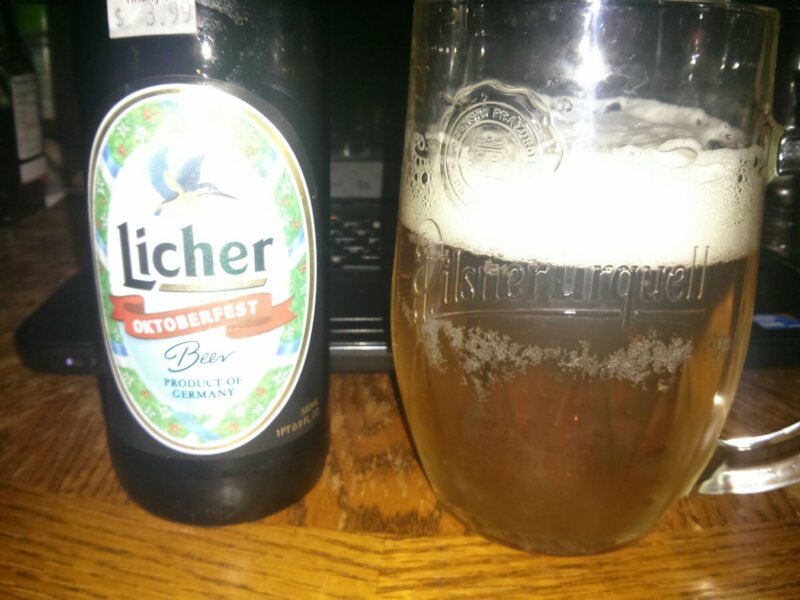 Possibly the driest Oktoberfest I’ve had, but still representative of the style. I like it a lot. Next up is the Founders Inspired Artist Black IPA. Made for the Grand Rapids ArtPrize, this is a special release that I believe is exclusive to Michigan. Poured it into a glass and got immediate roasty malt aroma and citrus/floral hops. I actually audibly gasped at the aroma. It was that good. Sorry about the flash on that pic. 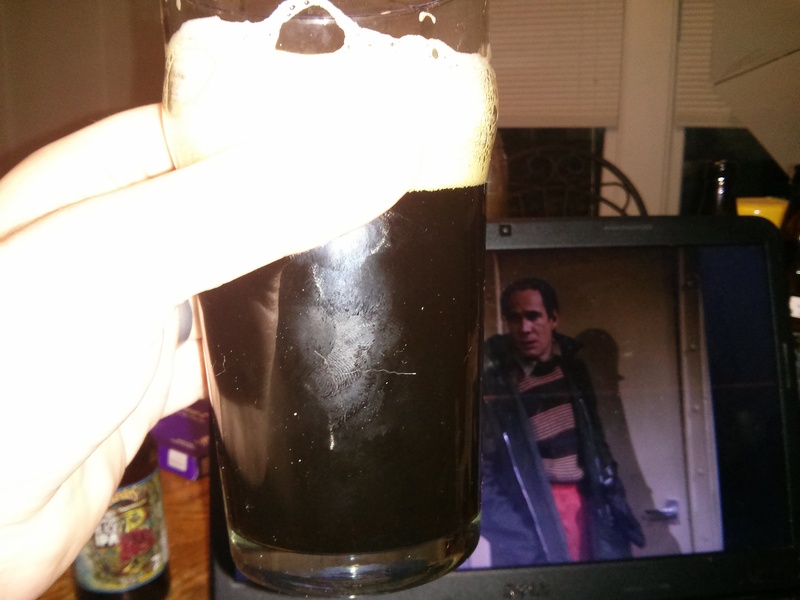 It’s hard when you’re taking pictures of black beer under normal lighting. And yes, that’s Classic Who in the background. The Seeds of Doom, if anyone cares. Once the beer settles down a bit there’s a classic roasty quality with that nice citrus floral bite. What sets this one apart (and makes me like it more than many Black IPAs) is the hint of spicy/earthy hop in the hop build, which helps connect the two sometimes disparate flavors. I’ve seen a lot of European beer writers claim that the Black IPA is really just a hoppy stout, but I wonder if they’ve had some of the better examples of the style. (Or, at least, the more American-hopped versions.) Black IPA is a style that I tend to regard with suspicion, at best, but this one is worth picking up if you can get it. That’s enough for tonight. Cheers. A woman I know from Germany always gets a case of this when she celebrates Oktoberfest here in the States, so I figure this is one of the most authentic ones we get in the States. Woot, woot. Pours clear, slightly brown-orange, with a thick white creamy head that dissipates about halfway pretty quickly but leaves amazing lacing. Aroma is sweet, with a grainy kind of quality. Not in that cheap macro sense, but like a really nice multi-grain bread. The term “liquid bread” was invented for these kinds of beers. Flavor is much the same, very grainy and bready with a slightly sweet aftertaste. Goes down smooth and very easily. The sweetness is balanced nicely by the roasty bitterness on the back of the tongue. This is one of those Oktoberfests that I tried for the first time three or four years ago and didn’t really care for, but every year I appreciate it more. 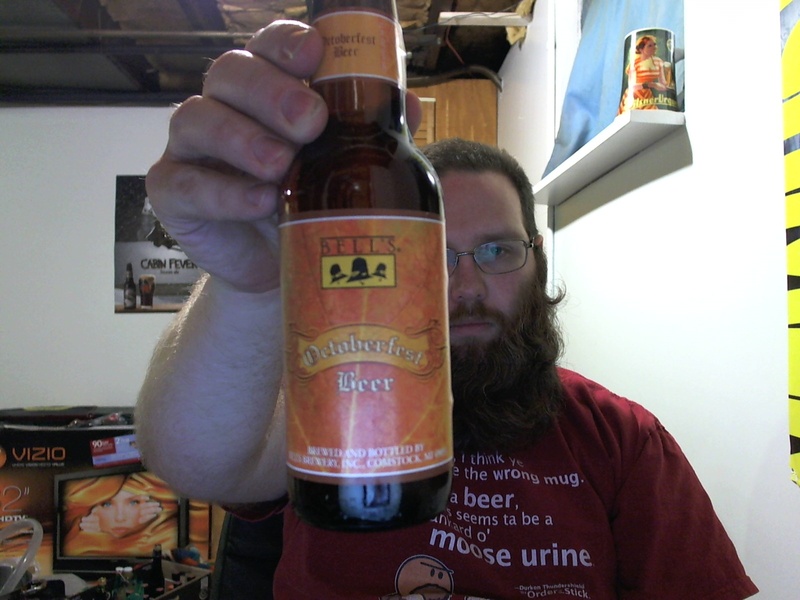 By the way, I know I’ve been using these text reviews for a lot of Oktoberfests, but I really don’t want to bother shooting videos of beers that are really very similar, but I still want to do some kind of review process for these. Once this season is done I’ll be varying my text reviews here a lot more. It’s cold enough outside that I’m wearing my hoodie inside. Also, I don’t want to have to run my heater if I don’t have to. 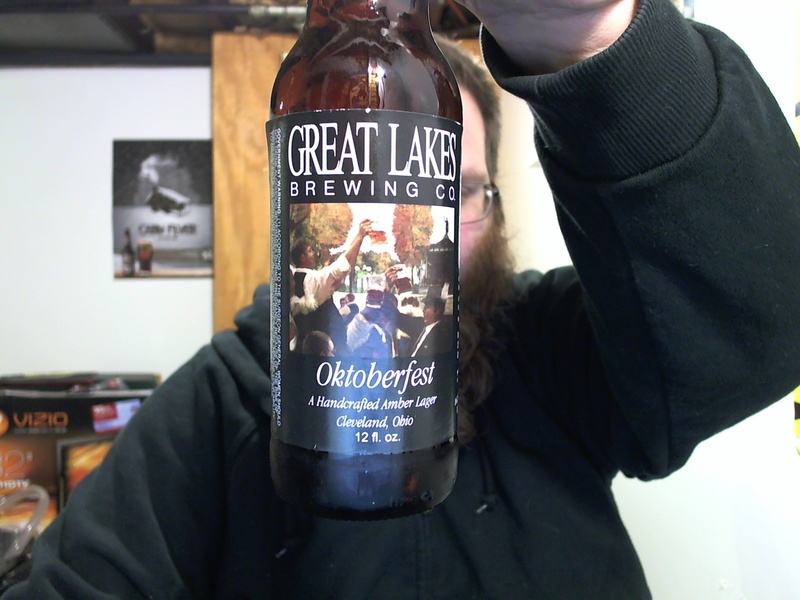 Which means that it’s just about perfect weather to review an Oktoberfest. Since we just got in this example from Great Lakes, I figured it’d be a nice one to review. 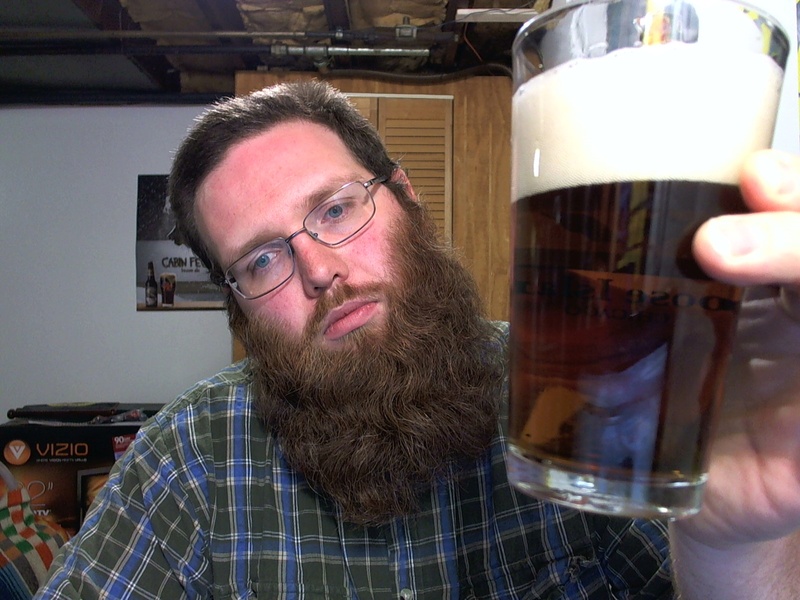 Pours a light amber color, tons of carbonation from the bottom of the glass, with a thin white head. 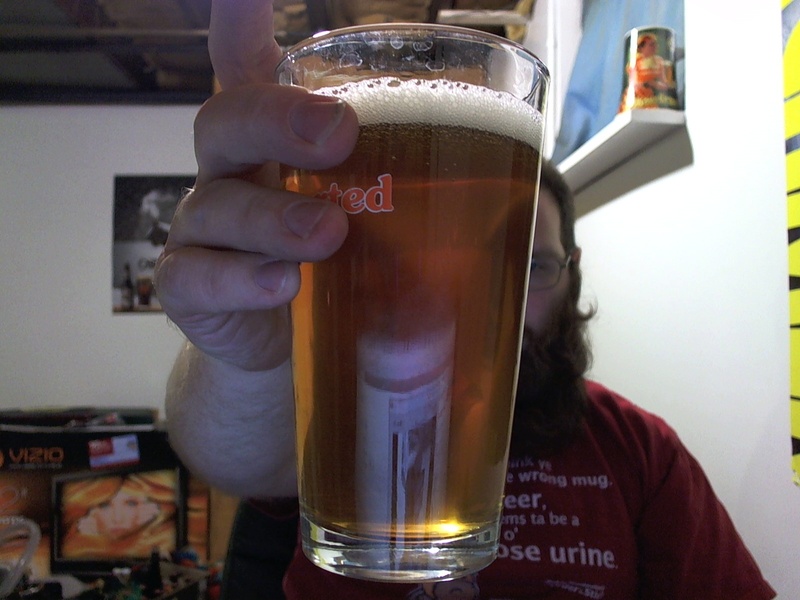 Given how much headspace there is in a half liter mug when you’re only pouring in a 12oz beer, I could have definitely poured more vigorously. Live and learn. 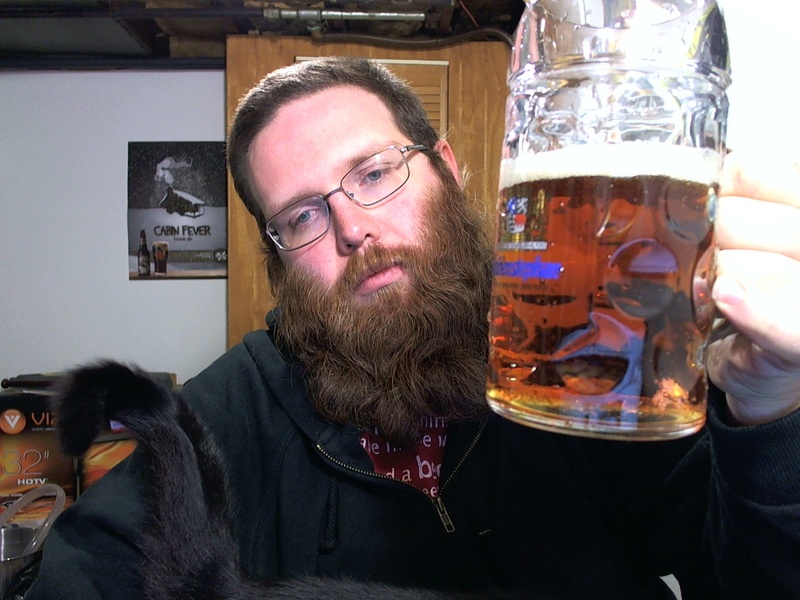 A 12oz pour of Oktoberfest doesn't look very impressive in a half-liter Weihenstephan mug, does it? 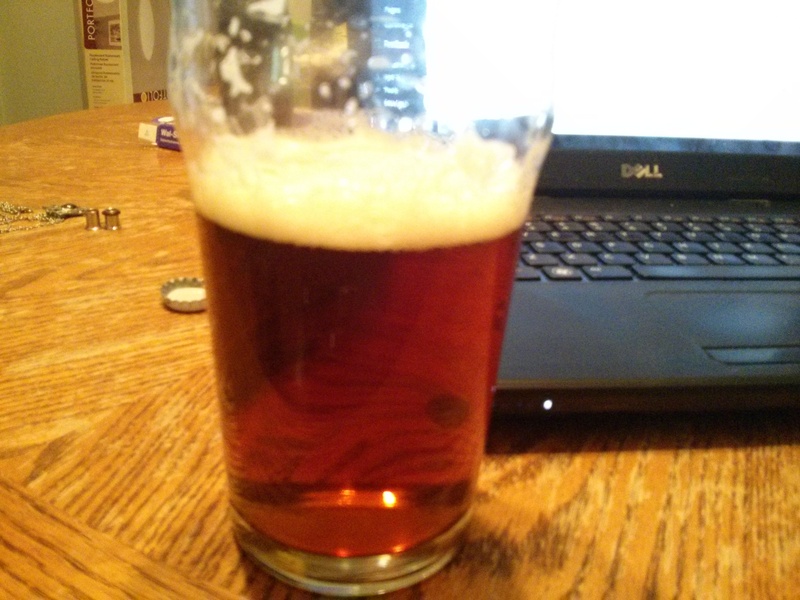 Smells sweet, malty, with that slight grainy fruitiness that you get with some sweeter lagers. Reminds me a bit of Yuengling. Otherwise clean. Flavor is much drier than the aroma, with a nice biscuity and bready finish and aftertaste. The sweetness up front meshes well with the cracker dryness on the back end. It’s an Oktoberfest. There’s really not much to say. It’s a pretty standard example of the style, but a good example. Tastes authentically German. Definitely worth trying.